Yesterday afternoon video surfaced of boxer Jessie Vargas claiming that the word going around boxing circles is that Conor McGregor has already been knocked out during sparring sessions. 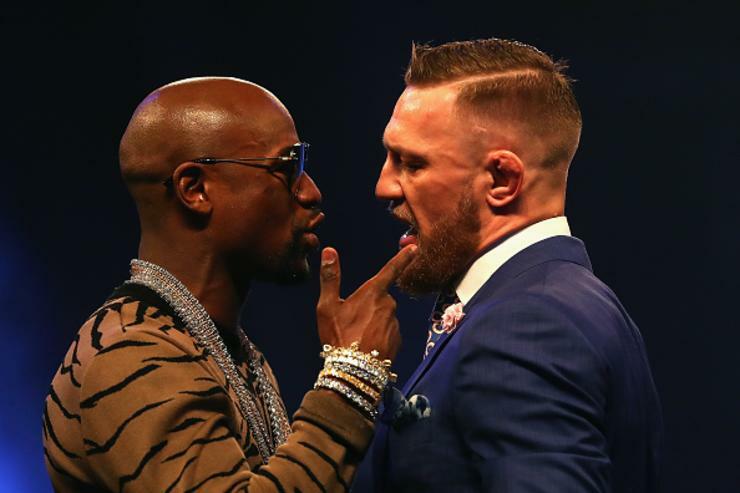 And since the “boxing world is small,” it shouldn’t come as a surprise that these rumors have made their way to Floyd Mayweather‘s camp. However, Floyd isn’t buying it. Speaking with Fight Hype last night, Mayweather said he won’t believe it until he sees it with his own eyes.